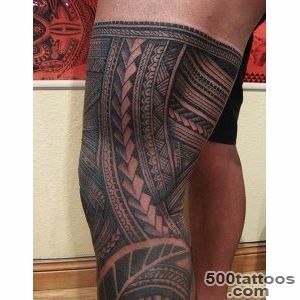 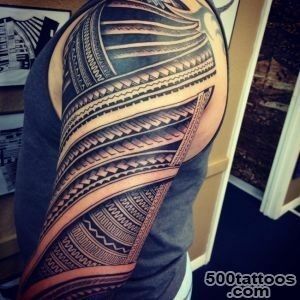 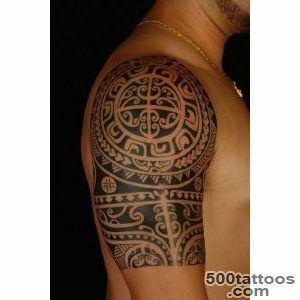 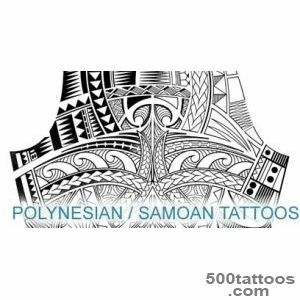 Samoan tattoos belong to the category of Polynesian . 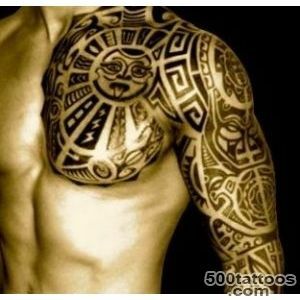 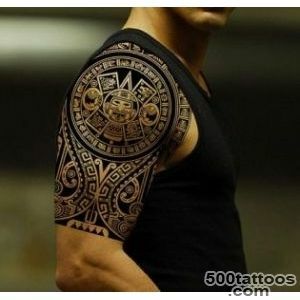 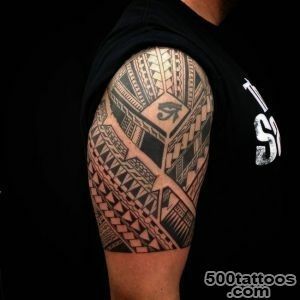 They are usually easily identifiable - tattoos are small geometric patterns , stacked solid ribbon. 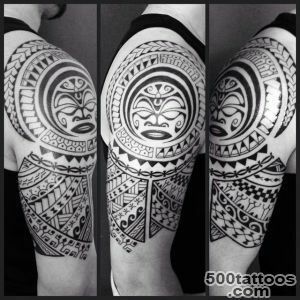 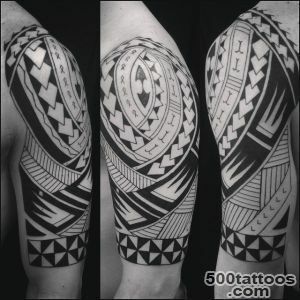 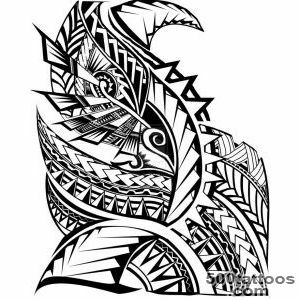 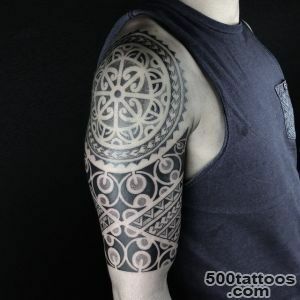 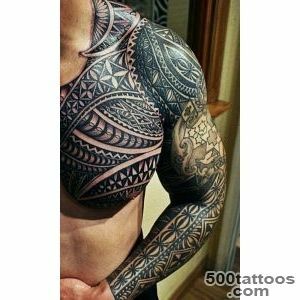 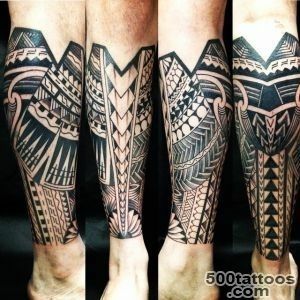 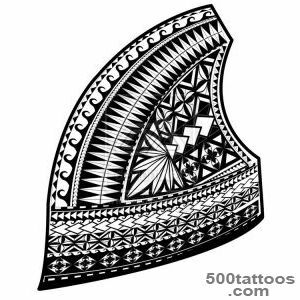 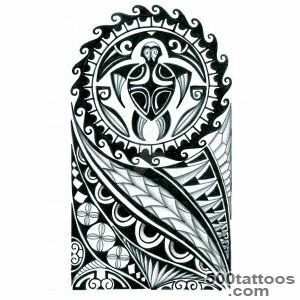 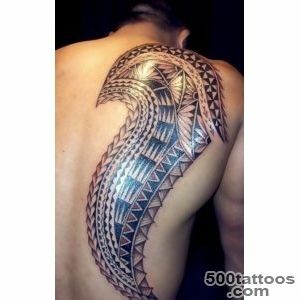 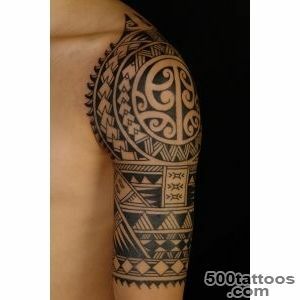 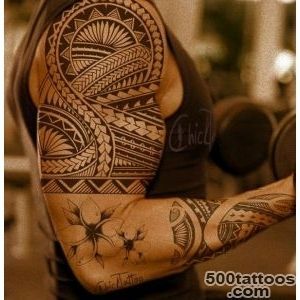 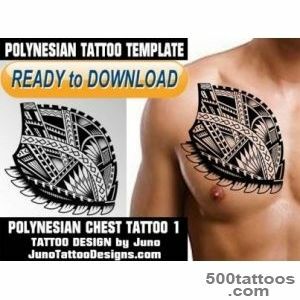 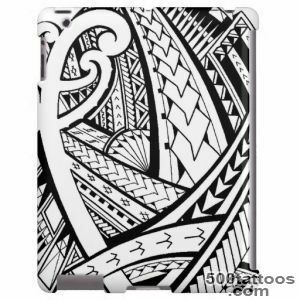 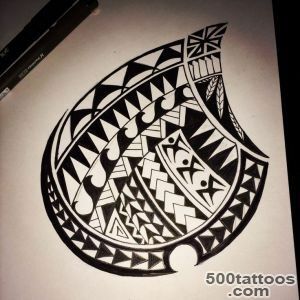 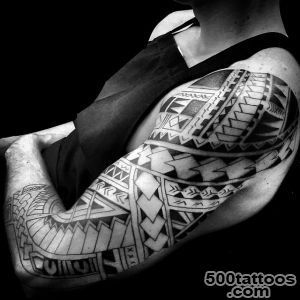 Especially often used triangles .A distinctive feature of the ornament Samoan tattoos is the almost complete absence of curls and blacked out large items , as opposed to the figures of some of the Polynesian tribes and Blekvork style. 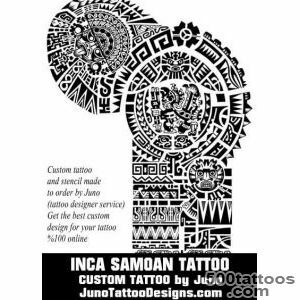 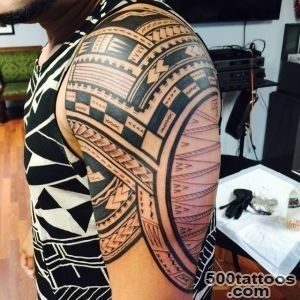 Samoan culture is drawing on the body in its orthodox ,ancient motifs patterns remained unchanged to the present day due to the fact that artists since ancient times tried to protect the Samoan art from the effects of other nations . 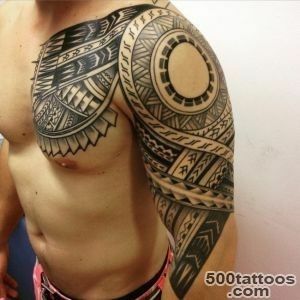 Tattooing can tell his life chronicling the entire vehicle , so the drawings are usually made ​​in a fairly large scale and sometimes take up to half of the host's body . 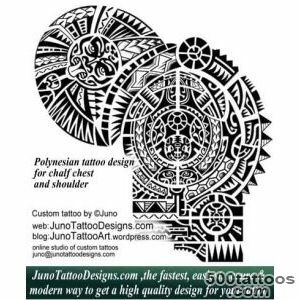 Simple patterns ,coming together, form a complex semantic ligature, where every detail is important , at times grotesque meaning. 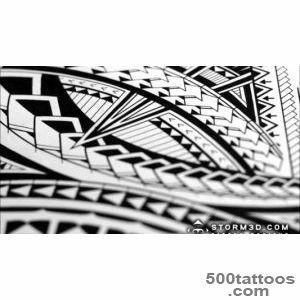 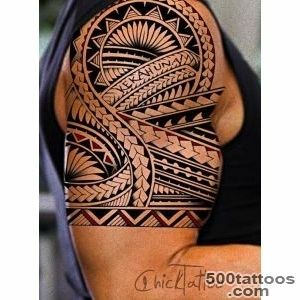 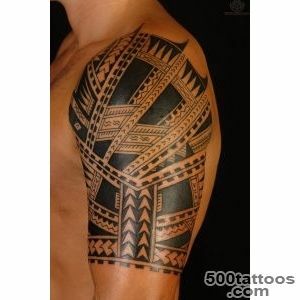 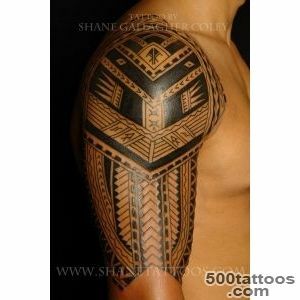 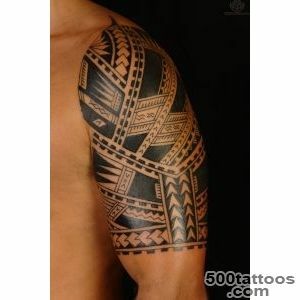 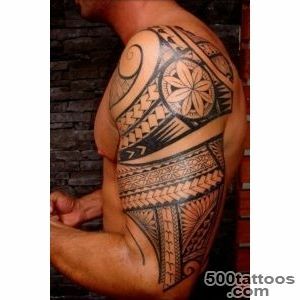 Strict regulation of tattooing in Samoa is the strict adherence to the rules of geometric shapes and lines. 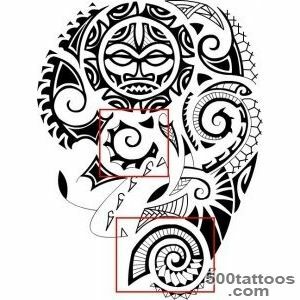 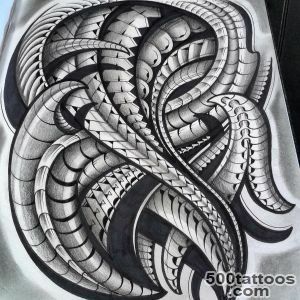 This pattern is difficult to draw in a more lively , normal image - for example, an animal or a flower ,to tattoo was more understandable to others ignorant . 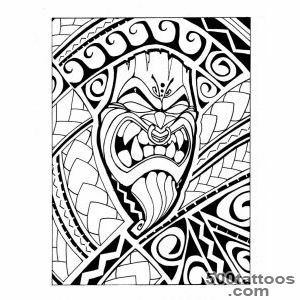 Such conformity Samoan figure greatly limits the popularity of tattoos among Samoan population today , more flexible , civilization . 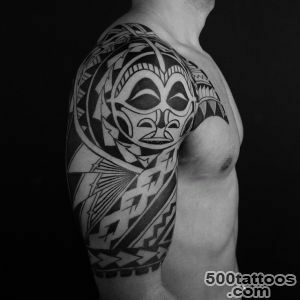 A special role in the tradition of the tattoo plays a painful way to its application.A modern interpretation of Samoan tattoos - a stylization in sanitary conditions . 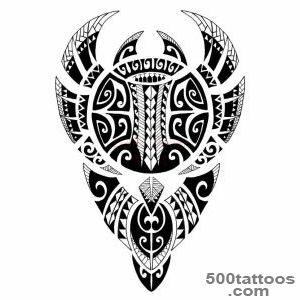 But in more ancient times, the patterns on the body laid out sharp fangs of wild animals , or who are more fortunate , with special scrapers . 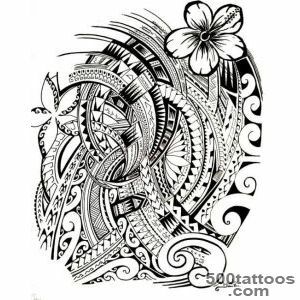 But in any case, the process that was incredibly painful, so sometimes it is delayed for a few days -to "canvas" was able to rest and gain strength . 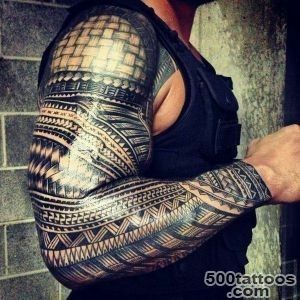 Tattooing is usually mersed in an important event in a person's life - for example , the acquisition of honorable social status or move a boy among men. 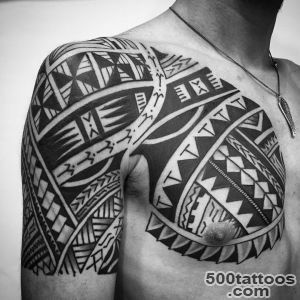 The event was noted for about 10 days and was accompanied by ritual acts , dancing and singing and , of course, the gradual application of the tattoo .From time to time cut patterns and female bodies , but they were not ritual significance , were simpler and smaller, so the tattooing process was easier and less painful .